Want to keep your tools organized? 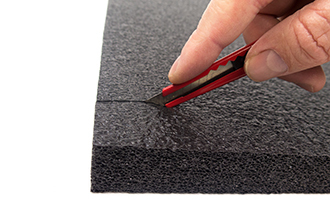 Tool foam can be cut to fit your tools and your toolbox to keep your workspace organized. Thick Tool Foam Organizers are made from a cross-link, closed-cell foam that’s durable and easy to use. It also resists chemicals and won’t soak up liquid. To get started, just trace your tools on the foam, cut out their outlines, and place the foam and tools in your toolbox or drawer. Make the custom tool inset organizers you need to keep your tools safe and where they belong. This organizer is 2' x 4' so you can cut it to fit a variety of toolbox drawers. 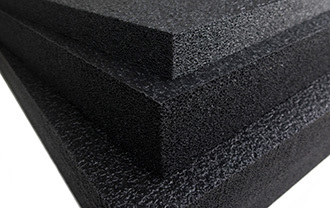 I have used your foam for years in my toolboxes, gun cases, and camera cases. It is really easy to work with and has never let me down.